Through the 1930's and into the early 1940's the Birmingham News-Age Herald published a tabloid size (15 1/2" x 11 5/8") insert in the Sunday edition. 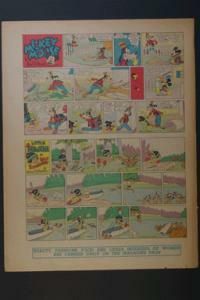 In that tabloid were several full page comics, usually including one page with two different Disney strips. 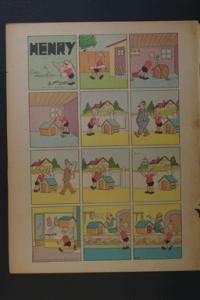 One other comic frequently featured in color full page was Henry. This page is an example of the Henry pages. This is high acid newspaper stock, and shows darkening from oxidation, and these strips will occasionally be a little ragged on at least one edge. 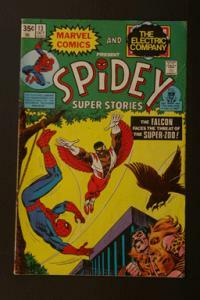 But they are still wonderful examples of early Sunday comics, and if cared for and matted and framed, they make wonderful display and conversation as well as collectible pieces.